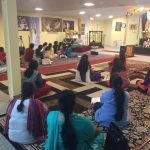 With Sri Swamiji’s blessings, Utsavam-Utsaaham children’s bhajans performance was held on Thursday April 13, 2017 on the occasion of the Tamil New Year celebrations at the Shirdi Sai Society of Jacksonville, FL. 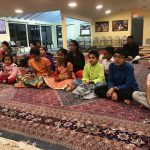 This was Gopakuteeram kids’ first performance in Jacksonville and about 11 children participated to an audience of about 75 devotees. 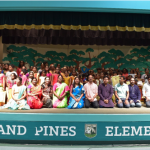 The performance was to celebrate Lord Sri Rama and the children started off with our beloved Sri Swamiji’s kirtan-‘Rama Namam solvathey’. 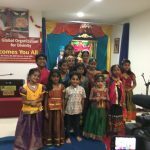 Next came the Nama Ramayanam which was widely appreciated by one and all, given the fact that the children only ranged between 5 and 11 years old. 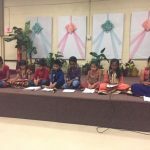 The children concluded the program with a Thyagaraja krithi, Rama Kothanda Rama and Mahamantra Kirtan. 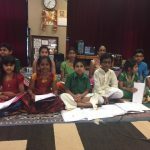 Praying to Sri Swamiji that more children become part of Utsavam-Utsaaham and Gopa Kuteeram and get blessed with the opportunity to learn and perform. 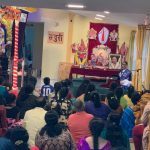 Jai Gurunath!